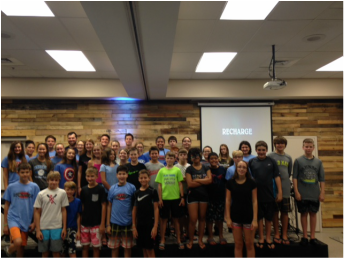 Elevate Student Ministry, is a group of 7th through 12th grade students who love God and each other. We gather during the week for Wednesday night worship, games and small groups, and Sunday morning small group, to grow together in our relationship with Christ. Our desire is to challenge, support, pray with, and encourage each other as we seek to follow God in our lives. We invite you to begin or continue your spiritual journey with us as St. John's. 6:30-7:30pm Worship, Lesson, & Small Groups. March 27th: Finishing our series on "Meant to Be". This week we will have a talk about intimacy. Seniors meet immediately after Youth Group for fellowship and fun! •For more information about our ministry to 7th - 12th graders, please complete the following form. Worship with us at 9:30 a.m.